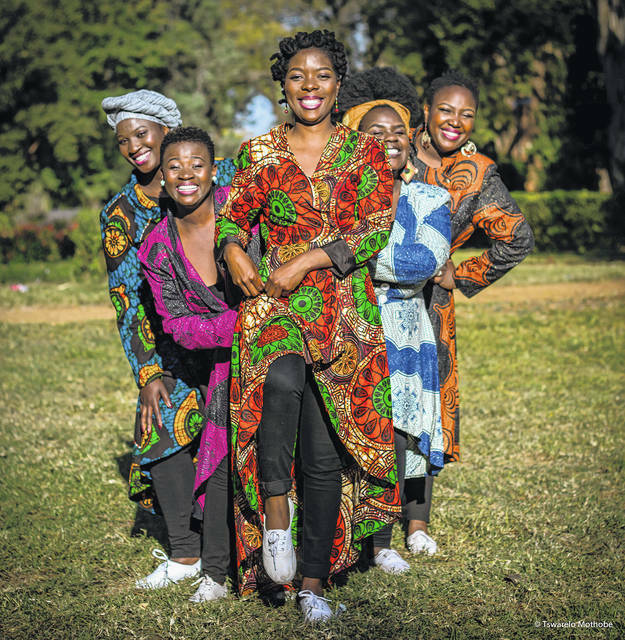 The a cappella group Nobuntu, five vocalists from Zimbabwe, will perform in Springfield on Oct. 12. SPRINGFIELD – The Clark State Community College Performing Arts Center will welcome Nobuntu, an a cappella vocal ensemble of five young women from Bulawayo, Zimbabwe, to the Kuss Auditorium on Friday, Oct. 12. Nobuntu celebrates through their songs and dance the identities of being an African woman. The release of their debut album in 2013 titled THINA immediately took them beyond the borders to countries such as Austria, Germany, Belgium and Czech Republic, playing in concert halls, theaters and festivals. In 2016 Nobuntu released their second album, called EKHAYA, which brought them to North America for the first time. The ensemble was nominated for Best Musician of the Year at the Zimbabwe International Women Awards 2015, held in London. The video of NARINI, their lead single from the second album, EKHAYA, went on to be Number 1 on the Top 10 Zimbabwean Music Video on DSTV’s Zambezi Magic TV. Nobuntu is a production identified by its concept and philosophy, a new generation of young women singers who celebrate and preserve their culture, beauty and heritage through art. Nobuntu is an African concept that values humbleness, love, purpose, unity and family from a woman’s perspective. Their repertoire is a fusion of traditional Zimbabwean rooted music, Afro Jazz, Gospel and Crossover in pure voices with minimalistic percussion, traditional instruments such as Mbira and some dance movements. “There are many wonderful groups that do traditional dancing and singing, but take a chance with Nobuntu and experience something you would never experience in Springfield,” said Adkins. Nobuntu will take the stage at 8 p.m. on Friday, Oct. 12, in the Kuss Auditorium of the Clark State Performing Arts Center in downtown Springfield. Tickets range from $30 to $40 and are available at ticketmaster.com or by calling 937-328-3874. Submitted by Clark State Community College.